Works by Columbia artist Ken Page are on display through Thursday, Feb. 25 at Lindsey Wilson College. The show features paintings and sculptures. Page's works are featured in the Lucretia C. Begley Art Gallery, which is located in the college's W.W. Slider Humanities Center. The exhibit is especially meaningful for Page because it allows him to exhibit his works on the campus where he developed his skills as an artist. A graduate of Lindsey Wilson, Page studied under the late Helen Flatt, a legendary art professor who taught at Lindsey Wilson for almost 40 years. Team Taylor County Executive Director Ron McMahan will be guest speaker at the Campbellsville/Taylor County Chamber of Commerce monthly luncheon, which is set for noon Thursday, March 11 at Campbellsville Christian Church. Downtown Campbellsville will sponsor the event. The cost is $8 for Chamber investors and $10 for non-investors. Reservations must be made at the Chamber office by noon on Tuesday, March 9. Any cancellations after March 9 will be billed and any reservations made after the deadline will be $1 more. Last week, Taylor County School Board members unanimously approved a resolution adopting an extra nickel tax. Predictably, opposition has arisen and petitions are circulating against the proposed tax. Ultimately, this issue may come before residents for a vote. In the meantime, we encourage open, rational and intelligent discussion with factual information provided from both sides. See the story on today's front page. The Natural Resources Conservation Service in Kentucky is accepting applications for the Grassland Reserve Program. Although GRP applications are continually accepted, the application-ranking cutoff dates for 2010 are March 15 and June 1. Applications received after June 1 will be deferred until the next ranking cycle. The Federal Reserve has imposed new regulations on credit card companies, and that translates into more protection for consumers, local experts say. 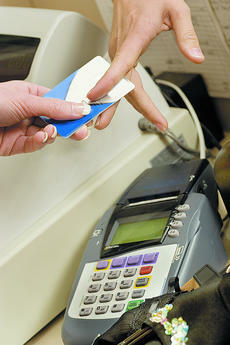 Approved by the Federal Reserve Board in January, the new rules went into effect on Feb. 22. In short, the new requirements means credit card companies will be forced to provide more information to customers such as advance warning of rate or fee increases and just how long it will take to pay off balances. Campbellsville University's University Chorale kicked off its annual spring tour across Kentucky with its first stop in Louisville on Wednesday, Feb. 24. The tour will take the ensemble to various cities across the commonwealth through Sunday, Feb. 28. The University Chorale, under the direction of Dr. Tony Cunha, assistant professor of music and associate dean of the School of Music at CU, will perform at a number of churches and at a high school during the tour. Marion County’s Lady Knights are three wins away from the state tournament after blasting Adair County 78-47 for the 20th District Tournament title on Friday night. Kyvin Goodin-Rogers led five Lady Knights in double figures with 18 points while McKenzie Martin’s 14 led the Lady Indians. The Fifth Region Tournament begins with first-round games on Monday and Tuesday at Hart County. Green County, Nelson County and Elizabethtown were also district champs. 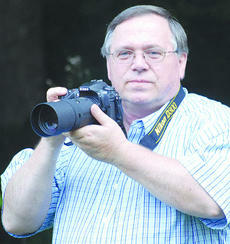 When Stan McKinney drove across country last year in his 2007 Mustang GT, his camera was almost constantly by his side. When the trip was over, McKinney had passed through 11 states in 14 days, traveled 4,602 miles and taken more than 2,000 photographs of such places as the Grand Canyon, the Hoover Dam and the Painted Desert and Petrified Forest of Arizona. The community will have a chance to see some of the photographs McKinney took on the trip when his photography exhibit "Canyons and Cars" opens at the Campbellsville University Art Gallery.